It is a much more elegant and smart option than buying a product or gifting cash. You can purchase Spencer’s Gift card from any of the Spencer’s Hyper stores and get it billed in a similar manner just like any other product. Please click here for Spencer’s hyper list. Gift card is valid for one year from the date of activation. Where can I redeem this card? You can redeem the Gift Card only at the Spencer’s Hyper & supers stores. Can I use a credit card or debit card to pay for the gift card purchase? 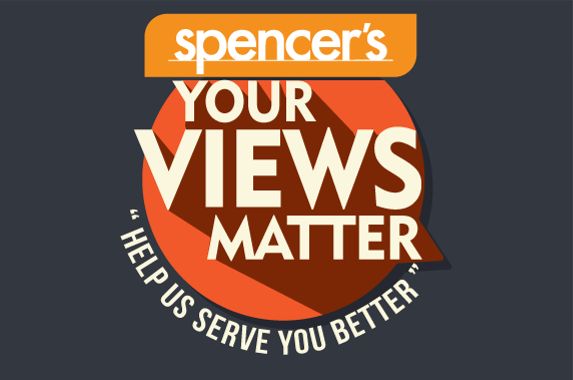 Will Spencer’s Smart Rewards points be awarded for the purchase of the Gift Card? Can Spencer’s Smart Rewards points be used / redeemed for the purchase of the Gift Card? Can I redeem the gift card partially? The gift card can be redeemed partially and the balance will remain in the card to be redeemed on subsequent bills, however within the validity period of the card. As mentioned earlier, the gift card is valid for a period of 12 months from the date of activation. Can I buy a Gift card from another gift card? A gift card cannot be used for buying another Gift card. This Gift Card is redeemable for merchandise at all Spencer’s hypers in Kolkata, Siliguri and Durgapur. Additionally in Avishar & Upohar. Not valid in Food court and concessionaires and it is not redeemable for cash or credit. What happens in case my Gift card expires and there is balance in it? No extensions / revalidation would be possible if the Gift card expires. Hence, the balance value will be lost.